Dark Horse Comics brings the original Astro Boy to America for the first time in an English-language edition! With graphic novels and animation exploding across America like never before, the signal creative and spiritual influence of the late master-storyteller Osamu Tezuka is being recognized worldwide, the skill, range, and emotional power of his storytelling placing him among the giants of graphic fiction and animation. And Tezuka's Astro Boy is perhaps the single-most important action/adventure archetype for the 21st century, a timeless all-ages work with its roots in classic comics and cartooning and its branches reaching into every corner of today's popular entertainment. 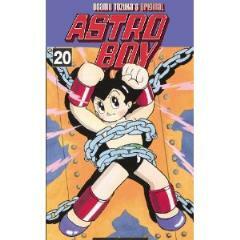 Few works - past or present - pack the excitement, laughs, and warmth of Astro Boy. Translation by Frederik L. Schodt, author of Inside the Robot Kingdom and translator of Barefoot Gen.